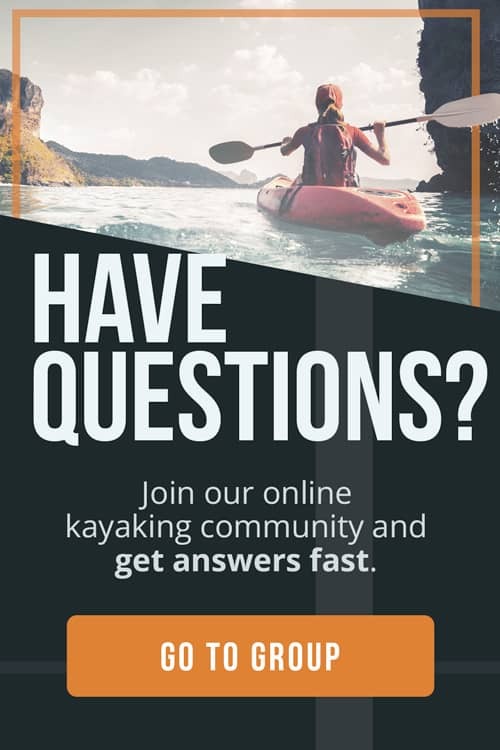 Did you know that while stand up paddle boarding is an easy activity that nearly anyone can enjoy, perfecting your SUP technique can make you stronger and a more capable paddler? The way you stand and paddle plays a massive role in how effective your paddle strokes are. The better you paddle, the faster you can glide and the more endurance you will have. 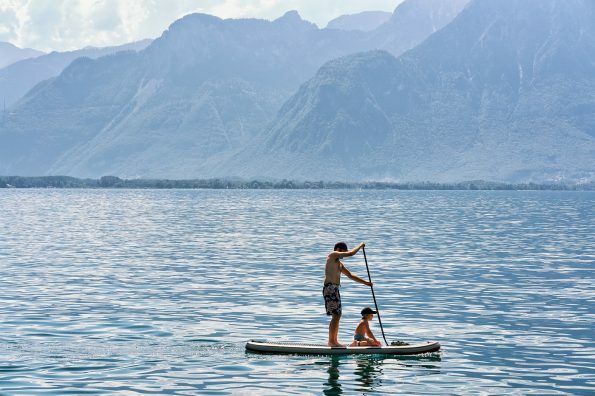 Here at The Adventure Junkies, we’re obsessed with knowing the best strategies for stand up paddle boarding, and we would love to share these tips with you. 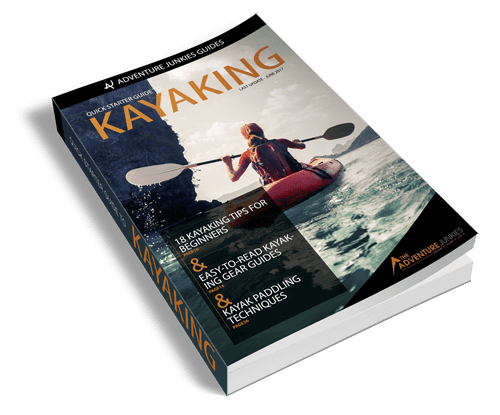 In this guide, you’ll not only learn how to paddle with the right SUP technique but we’ll also share some guidelines on how to correct a few common mistakes you might already be making. 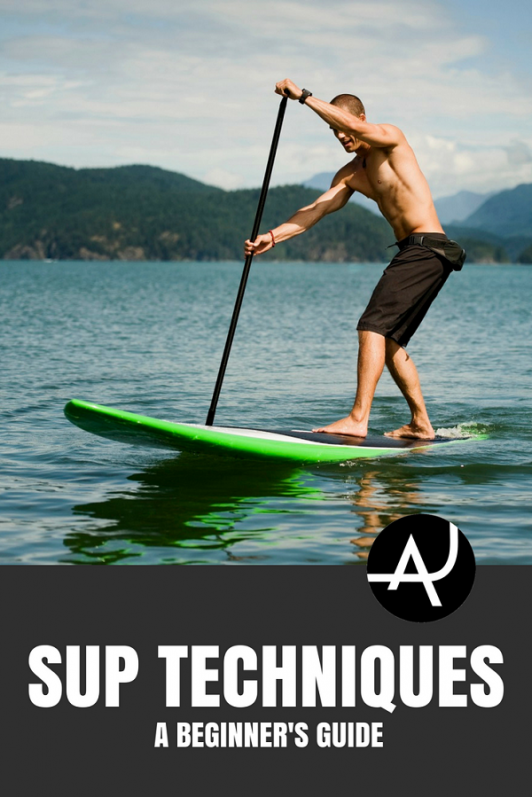 If you select a stand up paddle board and paddle that doesn’t match your ability, such as when a board is too short or too narrow or when a paddle that is too long, you won’t be able to focus on perfecting your SUP technique. 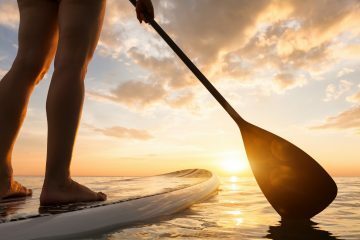 Once you’ve mastered the SUP technique and gained balance, you’ll be able to advance into a more specialty board like a surf SUP or a touring SUP. In general, beginners should choose a stand up paddle board that is over 10 feet long and 30 inches wide. 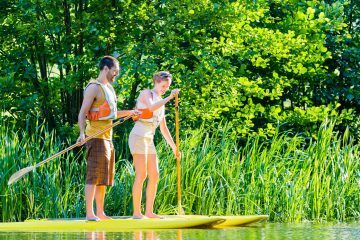 Your paddle should be about eight to 10″ longer than your height. 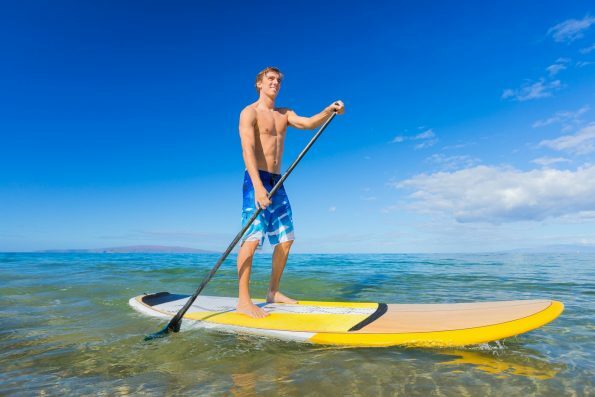 The stance for paddle boarding is very different from traditional surfing. When you stand on the board, you need to place your feet parallel with one another and the long edge of the board. Your feet should be firmly placed in the middle of the board, a little further than hip distance apart. Distribute your weight evenly onto your feet. Beginners often make the mistake of standing too far back or placing their feet perpendicular to the board, like a surfer. Your legs should have a slight bend in the knee to help stabilize yourself and absorb the shock of any chop coming through. Keep your back straight and head looking forward, onto the horizon. Hunching forward will destabilize you and can lead to paddling bad habits. If you feel unsteady, try bending your knees more, inching towards the middle of the board, or spreading your feet apart a little more. It’s normal for your knees to bend and straighten as you move through the water — think of them as your counterweights for stabilization. Your core should be engaged and strong the entire time. There are four basic steps to a proper paddle stroke. Mastering each step is the best thing you can do to increase your SUP technique and ability drastically, though the correct stroke might feel unnatural at first. 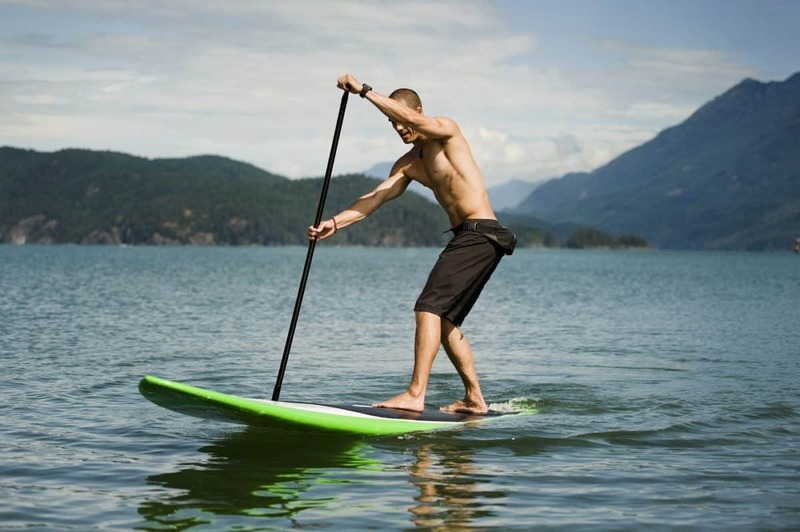 Many beginner stand up paddle boarders tend to paddle their board without the full range of arm motion. The first thing you want to do is bring your paddle forward and bury the entire blade into the water. You want the most efficient stroke possible, and having the full surface of the paddle blade in the water helps make that happen. Though it might feel intuitive to extend your paddle as far forward as possible, short and quick strokes are more effective. This paddle stroke phase is where great SUP technique makes a massive difference in how well you are paddle boarding. The most common mistake that beginners make is that they paddle using their arms, not their core. In the power phase, you’ll have one arm on the handle of the board, and your other arm about midway down the paddle. Pull through the water with your core. Both arms should be straight, with almost no bend in the elbow as you complete the stroke. Your bottom arm should stay straight. Imagine that you are pulling the board towards the paddle, not the paddle to the board. The shoulders and core are rotating to bring you forward, utilizing your back and core (which have more strength) than solely your arms. Once the paddle reaches your feet and your chest is facing the front of the board, lift the paddle out of the water. Again, it might seem that long, gliding strokes are most effective for going straight and fast on the paddle board but they’re not. When you lift the paddle out of the water, pull your bottom hand out to the side while keeping your top hand in place. Think of the paddle as a pendulum with the top of the paddle stationary (it will move down slightly) with the bottom of the paddle doing most of the movement as it exits out of the water. On your recovery phase, rotate the paddle back to the front of your body to complete the stroke. You’ll still want your core engaged and legs bent slightly while in this phase as a solid base. Stand up paddling is easy when you have the wind at your back. You could go for miles without even noticing in strong winds. However, when it’s time to turn back, you’ll suddenly be faced with a massive challenge and less strength than you’d started with. If there is any wind while you’re paddling, paddle into the wind first and let the wind take you back on your return. Stand up paddlers have died from making this beginner’s mistake. You can read more about these accidents in a safety advisory against offshore winds in the Standup Journal. If you get fatigued or an accident happens, you’ll be blown back to shore safely. We often tend to stare at our feet or the tip of the board when we feel unbalanced in an attempt to find a fixed point on the water. However, this actually causes us to lose balance or puts our body in a strange position where it can’t complete a proper paddle stroke. Instead, look out towards the horizon. Our board tends to follow wherever our eyes look. Most stand up paddles are shaped like a slight scoop, and it might seem to make sense to paddle with the scoop facing us — like bringing a spoon forward. However, the paddle is meant to be held with the bend pointing towards us, a more hydrodynamic shape.